In 2017, Ukraine imported 2.66 million tons of anthracite coal from Russia, which made 78.6 percent of the entire annual import volume. The press office of State External Information Service reported that on Thursday afternoon. The overall volume of anthracite imports in 2017 made 3.38 million tons - three times more than that in 2016 (933.4 thousand tons). 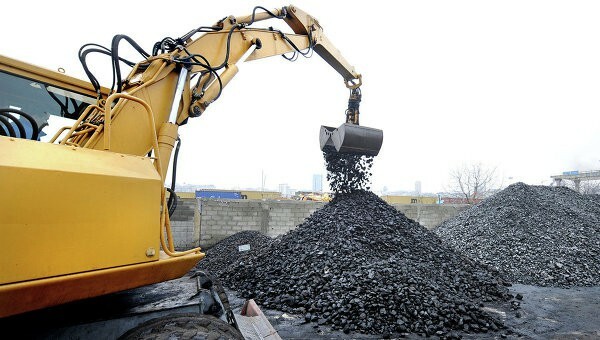 According to the State External Information Service, most frequently, the import of anthracite from Russia was conducted via Switzerland (1.50 million tons, with the average price of 164.7 dollars per a ton) and the United Kingdom (523.4 thousand tons, with the average price of 102.6 dollars per a ton). 21.2 percent of the annual import was conducted through South Africa (712.1 thousand tons, with the average price of 92.1 USD per a ton).